Buy Maths: A Book You Can Count On! Urban artist Simon Basher gives maths a manga makeover. Learning with attitude. A free colour poster. Maths designed to entertain. 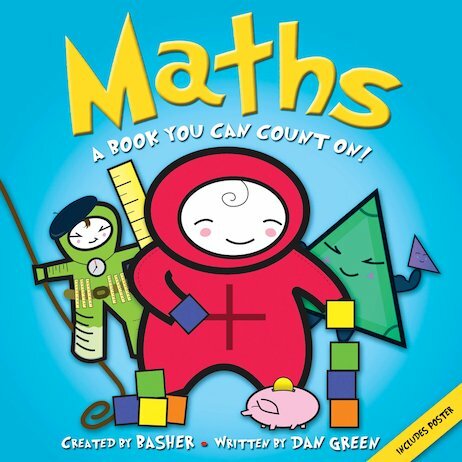 After making science the hottest subject in town, now Basher gets stuck into maths. He’s using edgy manga art to give pesky numbers a brand new style. And giving numbers and maths signs their own quirky personalities. Zero has a gift for doing nothing. Greedy-guts Multiply always wants more. And mysterious Pi goes on and on… all the way to Infinity.